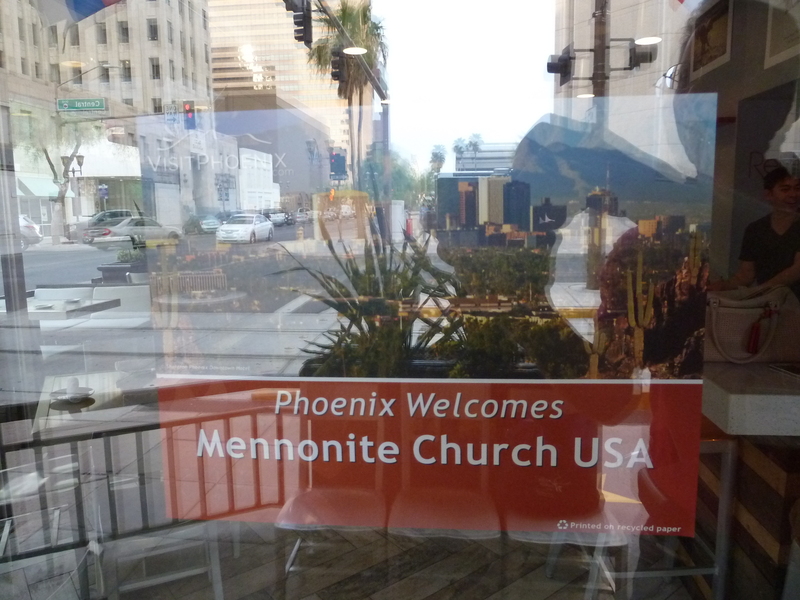 Mennonites met in Phoenix, Arizona, in early July, 2013, for their biennial convention. A sign at a Vietnamese restaurant welcomed visitors from Virginia and beyond to good food, friendly greetings, and sweltering heat in the downtown area. The Historian has several meetings focused on historical studies to attend at the convention.